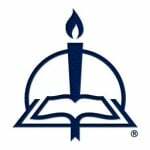 Pastors, scholars, and teachers know the Concordia Commentary volumes offer trustworthy theological exposition of the original inspired texts of the sacred Scriptures. 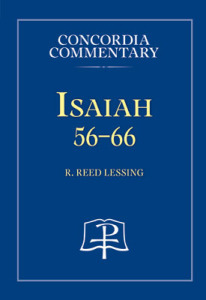 In the newest volume of the series, Isaiah 56–66, Dr. Reed Lessing combines a meticulous analysis of the Hebrew with an engaging, memorable, and homiletical proclamation of the prophet’s meaning. He shows that Isaiah 56–66 is the culmination of Isaiah’s message condemning humanity’s sin and promising the Suffering Servant, who atones for that sin, rises in majesty, and prepares the new Zion as the eternal city for all the redeemed. God’s restoration of Zion’s glory is our future! The church’s lectionary includes many well-known pericopes from these chapters: “arise, shine, because your light is coming” (60:1); “the Spirit of the Lord Yahweh is upon me” (61:1, quoted by our Lord in his inaugural sermon in his hometown of Nazareth, Lk 4:18–19); and “behold, I am about to create new heavens and a new earth” (65:17). Dr. Reed Lessing’s work is grounded in decades of scholarly research and service as a seminary professor and pastor. Previously he authored the Concordia Commentary volumes on Jonah (2007), Amos (2009), and Isaiah 40–55 (2011), which have garnered widespread praise. His new volume will be mailed out to subscribers this week and available for individual sale by the end of the month. Click here to purchase your own copy or here to subscribe to the series!